Searching for furnished apartments in Wichita, Kansas? Bokeh Development offers affordable furnished apartments and furnished apartments for rent in the downtown Wichita area. You’ll fall in love with the endless possibilities nearby! Bokeh Development’s furnished apartments in Wichita are just a short walk away from a number of restaurants and entertainment options. In addition, our properties come with great amenities and a unique sense of community. If you are looking to rent furnished apartments in downtown Wichita, let us help! 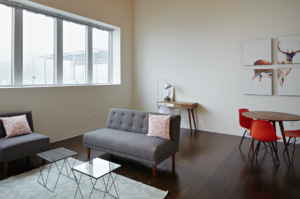 No matter your budget, we’re sure to have an affordable furnished apartment option for you. Be sure to browse our available furnished apartments and schedule a visit today!